A young Bosnian immigrant recounts his experience with war, illustrated in painting-on-glass animation. The Paint on glass technique used in this film is a great example of what this technique can do. We are visually drawn, pulled, pushed, washed and wiped through the memories of a young boy as he recounts his experience of war. His memories dissolve and reconstruct as we travel seamlessly through time and space in a seemingly endless wave of images, which commands our interest. The Directors voice can be heard asking direct, probing questions, which results in some unsettling honest answers, accounts of brutality and murder of Haris’s family members, it’s hard listening coming from such a young boy and reminds us of the strength animated documentary can poses in giving voices to those that we dont always get to hear. This is an important film. 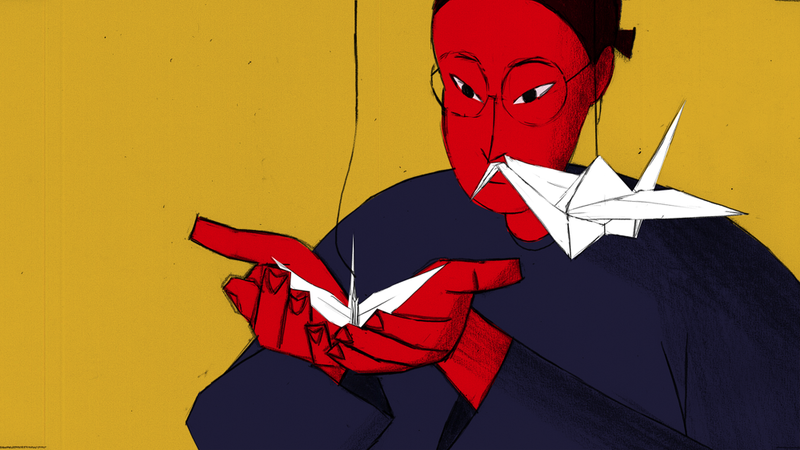 Encounters, the Bristol based UK animation and short film festival, continues with an excellent array of animated shorts in their second and third animation programmes. 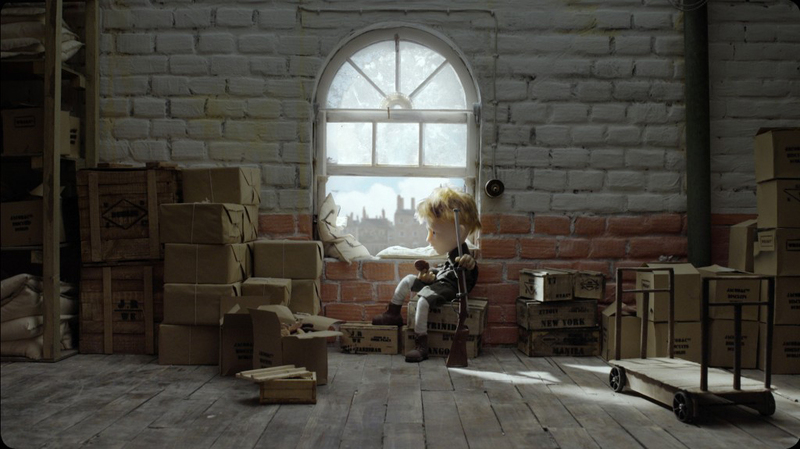 Animation 2 – Moving Pictures was a collection of shorts that explored complex emotive narratives. Of the fiction work in the programme, ‘My Home (Chez Moi)‘ directed by Phuong Mai Nguyen, shone through as a truly touching and sophisticated exploration of a young boy coming to grips with his mother’s new romantic partner. Two films from programme 2 that hit the animated documentary remit, both of which take place during the Second World War. Zoltan Aprily, director of ‘Ungvár’, explores his grandfather’s memories of working on a Hungarian commercial ship which was leased to the German navy and appropriated for war. The central moral dilemma of working alongside the historical villains of the 20th century is illuminated through crystal clear symbolism: the Nazi soldiers are quite literally depicted as faceless or monstrous henchmen, while the civilian crew are shown as a hapless bunch of normal-looking lads struggling through a precarious situation. Michael Brookes was commissioned by the Bletchley Park Trust to reconstruct a key moment in British military history. Notes rescued from a captured German U-boat led to the British code-breaking teams cracking the German Enigma encryption. 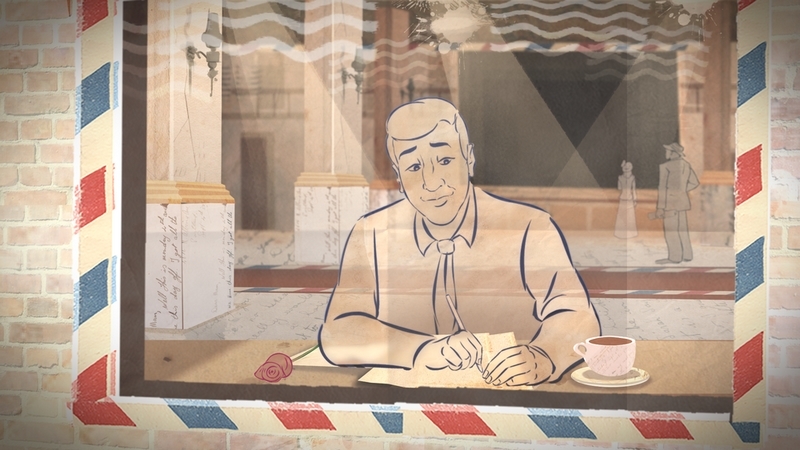 This 3D animation is rendered in a soft colour palette, with intricate textures reminiscent of the early 20th century printing of posters used during the Allied war effort. ‘The Petard Pinch’ is essentially a tale of duty and sacrifice. The stiff-upper-lip stoicism of the film serves only to sharpen the emotional response in the audience. This informative and moving short film clearly deserves the success it has already received from D&AD, Shorts of the Week and as a Vimeo Staff Pick. Animation 3 – Top of the Class draws attention to animated films selected for their craftsmanship. 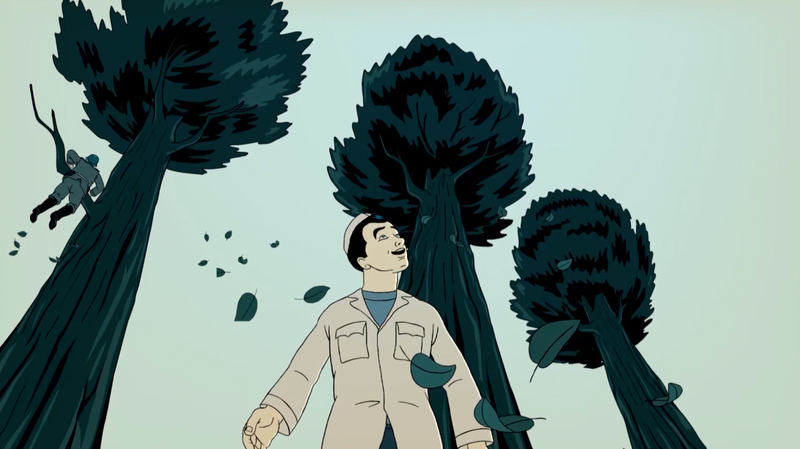 Three of the films were identifiable as animated documentaries, but the of fiction and non-narrative work my attention was grabbed by the French-Hungarian co-production ‘Love‘, directed by Réka Bucsi. This fantasy nature documentary tracks the impact solar movement have on a weird and complex ecosystem. 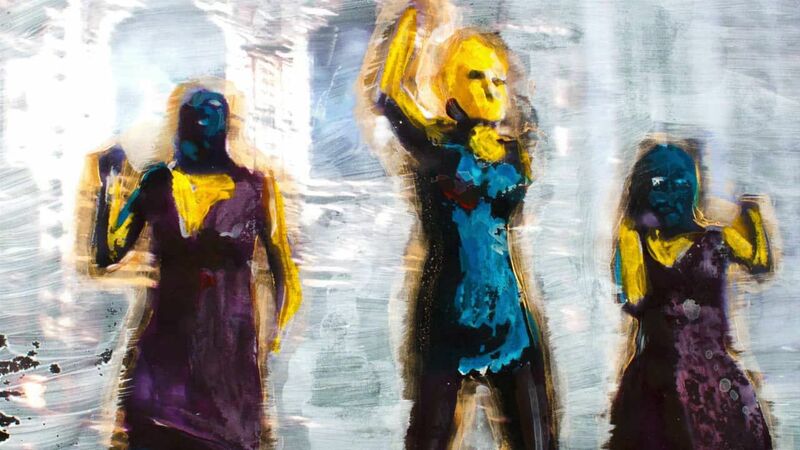 Volker Schlecht & Alexander Lahl co-directed ‘Broken – The Women’s Prison at Hoheneck (Kaputt)’. This beautifully crafted film is narrated by Gabriele Stötzer and Brigit Willschütz, political prisoners from Hoheneck Castle in East Germany. These unfortunate women were forced to make garments which were sold for great profit across the border in West Germany. The animation is classically drawn frame by frame. 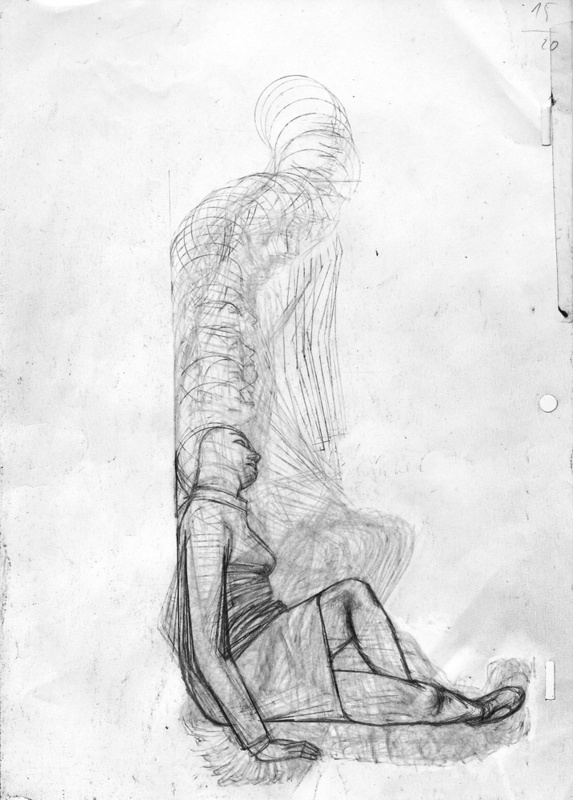 After scanning one step, the drawing was erased, changed or completely re-drawn on the same sheet of paper and re-scanned (a technique used by William Kentridge). The attention to detail in this film is truly astonishing. 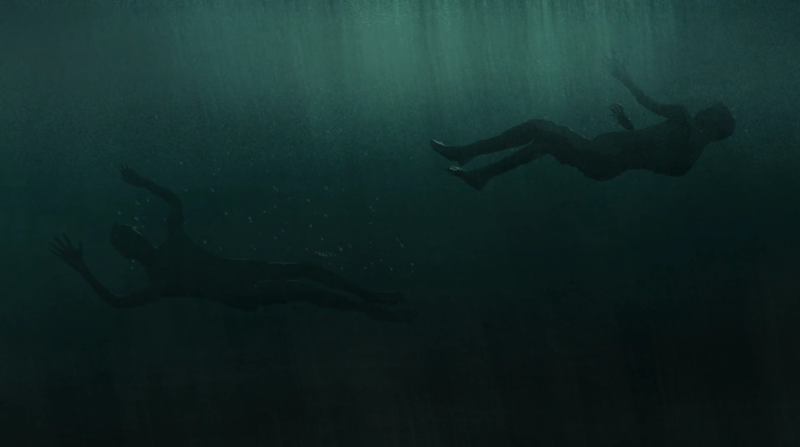 It seemed somehow telling that the directors chose to integrate the subtitles, perfectly matching the aesthetic of this powerful animated documentary. ‘Stems’, directed by Ainslie Henderson, is a straightforward documentary about creating stop-motion puppets. The director narrates as his characters are assembled is if through the magic of stop-motion. It’s all very meta. Henderson laments, “they are like actors who are destined to play just one role”. ‘Mamie’ is a touching portrait of director’s grandmother. Janice Nadeau tries to decipher her personal memories of this aloof and unforgiving matriarch. Although not explicitly stated, it seems clear that this is based on first hand recollection. If ‘Mamie’ is entirely invented character I must apologise for suggesting this is an animated documentary and commend Janice Nadeau for the realism in her writing! Encounters short film and animation festival runs from the 20th -25th September across a number of venues in Bristol, UK.